America’s horse, also known as the Quarter Horse, is the most popular and widespread horse breed in the United States. The “World’s Fastest Athlete” has earned its title due to its abilities to spring for short distances. Americans prefer it in competitions because it performs very well in rodeos, western competitions and horse shows but it is also well-suited for speedy maneuvers such as cutting, reining, western riding, trail riding and even as police mounts. All in all, the Quarter Horse is powerful & well-rounded horse breed that most riders prefer. As a matter of fact, European and Brazilian horse lovers have imported a large number of quarter horses. According to official reports, the second largest quarter horse association, after AQHA (national American Quarter Horse Association) is the one from Brazil. At present, there is a growing interest in quarter horses, especially because the reining discipline has received acceptance in the World Equestrian Games. This is also the reason why you should consider registering your own foal with the American Quarter Horse Association. There are two types of registrations types that you should consider. The first one – the full horse – is designed for competitive horses that will be taking part in equestrian events. The second on – the base horse – can be used for horses that are not actively engaged in any types of competitions. There are several other criteria that must be met. For example, starting with July 2011, all horses participating in Official competitions, or registered with EA, must have the AS 5018/5019 microchip implanted. There are many specifics that must be taken into account when registering quarter horses, like declaration of ownership, registration guidelines, performance cards etc. The good news is that there are plenty of associations like the American Quarter Horse Association that can help you with the registration process. But before you proceed, you might want to learn more about the benefits of having your quarter horse registered with an association. Many associations, like AQHA, encourage owners to register their horses by discounts to foals and yearlings. For example, the AQHA horse registration fees are 30 dollars for weanlings, 60 dollars for late weanlings, 150 dollars for yearlings, between 300 and 400 dollars for 2 to 3 year olds and 500$ for horses older than 4 years. In other words, it is considerably cheaper to register a foal than a full-grown adult. You can find out more about the registration process here. Associations make it easier for riders to legitimize their horses. According to experts, the biggest problem when trying to register a horse is locating breeders for their signature. This is why organizations like the American quarter horse association do the research for their clients. It is possible for them to find out names and addresses of your foal’s sire and dam. Also, even if you are missing a signature from the breeder you can simply submit your application and the association will take care of the rest. Needless to say, membership with AQHA, OQHA or any other association will also help you save hundreds of dollars through discounts. That’s because horse organizations have made deals with organizations such as Valvoline, SmartPak, John Deere or Ford. What’s more, if you are a member of AQHA you will also receive America’s Horse Magazine every month, permission to enter competitions & shows and better prices for horseback riding programs and other events. If you require medical assistance for your horse, you should know that having a membership with a qualified association will also speed up the process. Veterinaries collaborate with associations and you can even set up monthly check-ups with them for a very small fee. Each association has its own registration process, but for the most requirements are the same. Most registration forms require information such as horse appearance and characteristics, a declaration form, contact details and personal information, unique horse name + name choices, performance card options and, of course, payment. Once again, the fee depends on the association that you are signing up for. Some organizations offer better prices for younger horses while others have a general registration fee. You must also send photos of your horse upon registration. Applications will never be completed without proper images. In general, associations ask for at least four photos: front, rear, left and right. Assuming that you are not the initial owner of the foal, you will have to complete a signed transfer and request the original registration certificate from the previous owner. If you don’t know the exact date when the foal was born, you should estimate the closest date. Keep in mind that the average gestation period for a horse is 345 days. You should also know where the foal was born. If you don’t add this data to your registration form the association will automatically consider the state of origin. This might not be the best ideas, because several states such as Oregon, Virginia, California, Wisconsin, Missuri, Kentuchky, Texas, Nevada, Minnesota etc. offer incentive programs for breeders. Your foal’s registration number and name should be written under the “sire information”. You must request information about the dam from the stallion owner. Breeders usually have registered name, identification number, type and color data for the dams they choose or breeding. If the date submitted by the breeder doesn’t coincide with yours, the application process will be longer. Owners and joint owners can sign the application. Associations do not accept printed signatures. In addition to this, if there are two owners, let’s say Mary and Mark Jacobs, each of them must sign the paper individually. There is no need to give more details about the application process because each association offers a detailed guide, with specific requirements. All you have to do is visit their official page and navigate to the guidelines tab. Now let’s take a look at some of the best quarter horse associations to see what registration options you have. Undoubtedly the largest quarter horse association in the world, AQHA has a history of over 70 years and more than 5 million horses registered since it was founded. The funny thing about AQHA is the fact that its founders simply wanted to preserve a nearly extinct line – at that time there were less than 1000 specimens in the U.S. – and they have contributed to the future of the Quarter Horse more than any other association. At present, the American Quarter Horse Association, headquartered in Amarillo Texas, holds the record of top equine breed registry as well as membership association. The AQHA membership will benefit any type of equestrian, may he be professional or amateur. By registering your horse with this association you will automatically receive America’s Horse Magazine, you will gain access to shows and competitions, you will be able to get information on a particular horse, take part in horseback riding programs and benefit from incredible discounts on equipment. AQHA is also offering jobs for horse enthusiasts. For additional inquiries regarding job openings you should write down the phone number from the official website. Exclusive services & Partners: American quarter horse medical, Double J Saddlery, Ford, Liberty Mutual, The Insurance Company with Horse Sense, John Deere, OfficeMax, USRider, SmartPak, Sherwin Williams, Bank of America, Montana, Wrangler, Cripple Creek, Justin Boots, Adequan, Farnam, Nutrena, Merial etc. 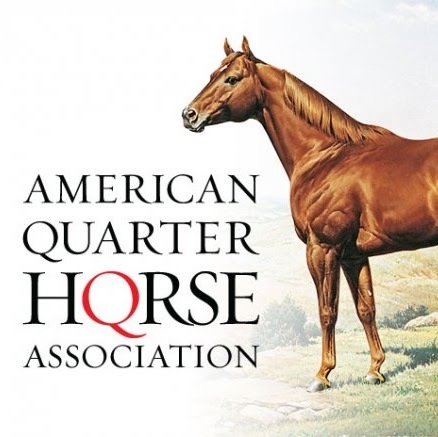 If you live in Idaho you might want to register with the Idaho Quarter Horse Association which is dedicated to promoting the American Quarter Horse in that region. Some of the benefits that come with this membership include racing, shows and contests in the vicinity as well as Youth Programs. The association also holds annual IQHA meetings for riders and equipment manufactures. We were also excited to hear about their campaign for promoting the American Quarter Horse, which is basically a magazine that will be distributed in Idaho and surrounding states such as Wyoming, Utah, Nevada, Oregon, Dakota, Delaware, Washington Montana, Colorado, New Mexico, Arizona and California. The Ohio Quarter horse association is also the home for the All American Quarter Horse Congress. This particular organization is well-known for its numerous events and competitions as well as its hospitable staff. A little over a month ago, OQHA hosted a Youth Mingle event with pizza, drinks, dessert and lots of friendly riders. If you enjoy participating in interesting events with your four-legged companion and you also live near Ohio you should definitely consider registering membership with the association. Another example of community oriented association is MQHA. It regularly organizes events, like the Annual MQHA Convention that took place on January 10 and 11 to determine the Youth Sportsperson, Adult Sportsperson and Mother & Father of the Year. The Michigan Quarter Horse Association also organizes quarter horse auctions and competitions. Members receive a 5% discount of their total bill for all shows owned by the association, access to scholarships, training clinics, annual conventions, show and youth world shows. You can learn more about membership requirements and benefits here. Number five on our countdown is the Iowa Quarter Horse Association. If you live near or in Iowa you could benefit from a membership with IQHA. The association constantly organizes auctions for stunning quarter stallions which it displays in catalogues. Other events include open shows, competitions and Youth Programs. The regulations and obligations of memberships and the association are clearly stated on the membership page. OQHA’s mission is crystal clear: to encourage and support the ownership of Quarter Horses in Oregon while upholding the rules of AQHA. The Oregon Quarter Horse Association regularly organizes competitions with great prizes for members. You can also check out the schedule for 2015 on the official website. There are roughly six competitions scheduled for this year as well as several special events. Other membership benefits include recreational ride programs, youth and amateur programs and awards banquets. Most states, including Mississippi, Wisconsin, Minnesota, Nebraska, Tennessee, Illinois, Delaware, Kansas, Alabama, Idaho, Georgia and many others also have their specific horse associations. Although some of them do not have quarter horse associations, it is possible to register with the ones that we presented above. Although it is not mandatory to register your horse with an association it would be a shame to miss out on all the exciting activities and events.